Product prices and availability are accurate as of 2019-04-20 14:39:06 CEST and are subject to change. Any price and availability information displayed on http://www.amazon.de/ at the time of purchase will apply to the purchase of this product. 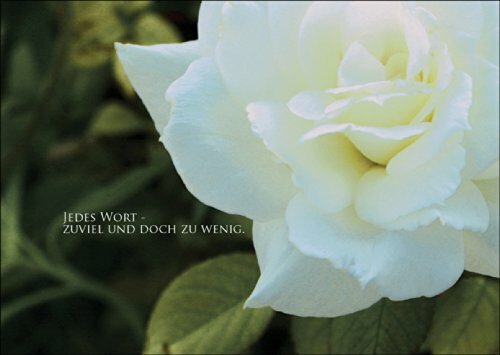 Beileidskarte mit Umschlag und Text: Jedes Wort - zuviel und doch zu wenig. Umschlag ist weiß und gefüttert. 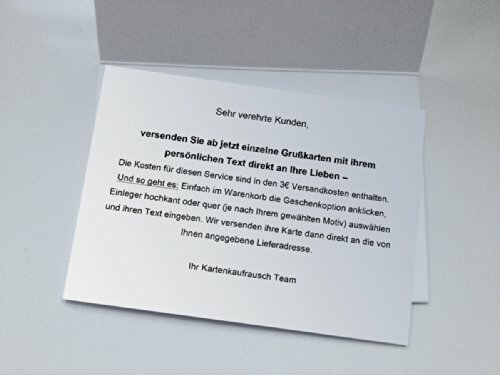 Angemessene Karte, um Anteilnahme auszudrücken.